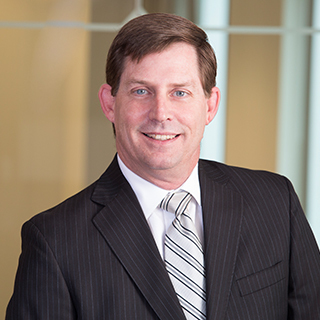 Mark Baumgartner is a shareholder and CFO at Pender & Coward focusing his law practice in the areas of corporate and transactional law, real estate, environmental law and litigation. He has been recognized as one of Virginia’s Legal Elite and Coastal Virginia’s Top Lawyers and featured as Top Lawyer of Business Law in the December/January issue of CovaBIZ magazine. A native of Hawaii, he served in the United States Marine Corps from 1982 through 1986, operated an import and wholesale distribution company in Hawaii from 1991-1997, and was a United States Coast Guard Licensed Merchant Marine Officer from 1987 to 2002. After graduating from the University of Hawaii and William & Mary Law School, Mark settled in Virginia Beach and joined Pender & Coward. In addition to helping clients create solutions for their businesses, Mark enjoys spending time with his wife Penny and their two daughters, Dana and Amanda, or sailing with friends in the Caribbean. Through Dancing with the Hampton Roads Stars, he is finally fulfilling a request that Penny made 26 years ago when she asked him to take dance lessons. Mark extends an enormous amount of gratitude to his dance partner Allie Powers for her extraordinary patience and determination.